The best thing about the holiday season is the way it brings us all together and of course, getting and giving presents. But the problem with sending presents to family and friends either interstate or overseas is that you don’t get to see whether they like it or not and if they don’t it can’t be returned to the store. This Christmas, send a gift you know they’ll love, cash via Western Union. Western Union is a fast, reliable and secure way to send and receive money worldwide. Whether you and your loved one are on the other side of the city or the other side of the globe, Western Union can transfer cash in just minutes. People think sending money overseas is complicated but with Western Union, it couldn’t be simpler. You just take cash into your closest Western Union agent location, fill out the form and pay a small fee then wherever they are, they’ll receive cash, usually in the local currency. They don’t need credit cards or bank accounts. You can even send them money if they’ve lost their ID. 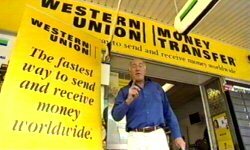 There are 4300 Western Union agent locations right here in Australia, many of which are Newsagents and over 165 000 agent locations in more than 195 countries and territories around the world! That means it’s likely that there is a Western Union agent that is conveniently located to your loved ones overseas. So for that really special gift this holiday season, send your loved ones money via Western Union and before the end of January when you send money to a family member you can win a trip for two people to wherever you sent the money. Or you can choose to bring 2 of your loved ones from over there back to Australia. 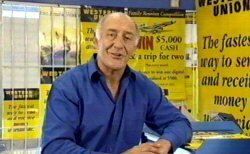 There’s also $5,000 cash in Aussie dollars to make sure you can afford to really enjoy your reunion. 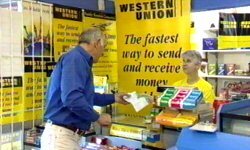 Western Union are truly the experts Everyday they move millions of dollars around the world quickly, safely and securely. To find out your nearest agent location give Western Union a call and send your family and friends a gift you know they’ll love, cash!